From our worldwide group companies and importers, we carry various types of fresh tuna including yellowfin, bigeye, and bluefin from Europe and Japan. Uwamaru Bluefin Tuna, branded by our group company who conducts tuna farming in Japan, contains fine fats on not only Otoro (fattiest portion of tuna) but even on Akami (lean portion of the tuna), which is lightly marbled beautifully. 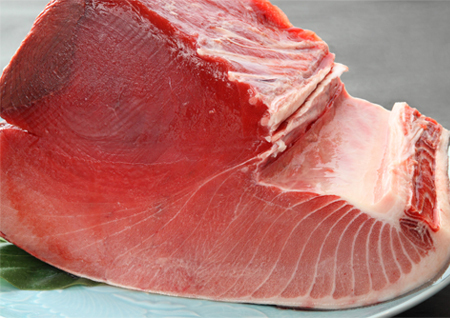 Uwamaru Tuna is a special delicacy and is enjoyed by many in Japan. Salmon is the most consumed fish as sushi in recent years. 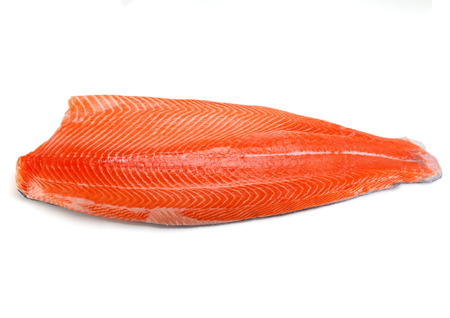 We carry Canadian, Norweigian, and Scottish salmon as well as Ora King salmon from New Zealand and Ocean Trout from Australia. Land based fish farming has spread throughout Japan as well and we have been able to provide exceptionally fresh fish to consumers. 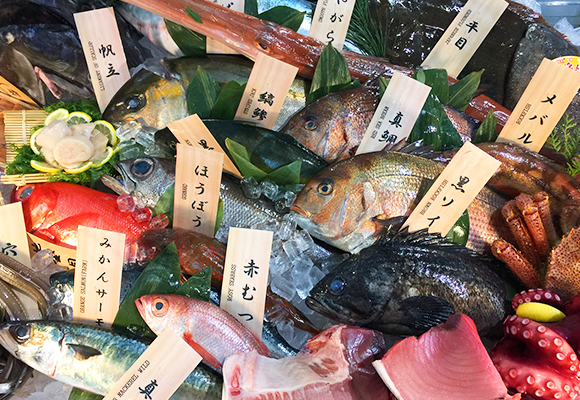 We offer a wide selection of fresh whole fish, an essential ingredient that leads Japanese cuisine to its popularity, imported directly from Japan. We deliver fresh fish carefully selected by our group companies which is then packed and handled under strict temperature control from all over Japan. We carry sashimi-grade products such as flounder and various shelfish air-freighted from the East Coast. 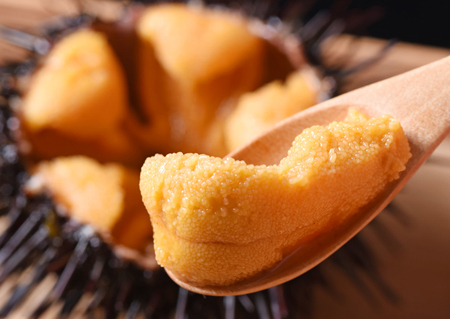 From the West Coast we have sea urchin, mirugai (geoduck), wild king salmon, and ocean-based farm striped bass. And from New Zealand and Australia we carry wild sea bream and trout that provide wide range of use.